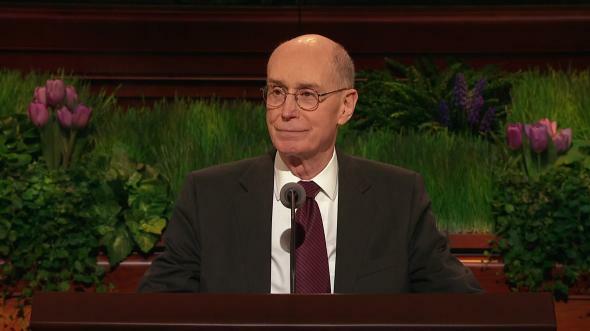 My brothers and sisters, since April’s general conference, some of our missionaries have found themselves in increasingly more difficult circumstances. 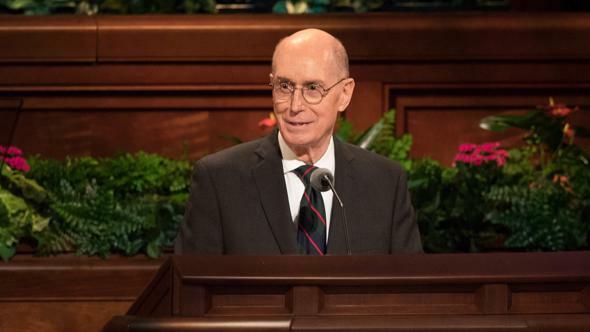 As the adviser to the South America North Area Presidency, I was saddened, as I know you were, at the news that two faithful missionaries, Elder Todd Ray Wilson and Elder Jeffrey Brent Ball, lost their lives in Bolivia. The deaths of these two righteous young men while they were in the service of the Lord caused the entire Church membership to mourn. We grieve also for other missionaries who have died from illness or accident since the first of the year. 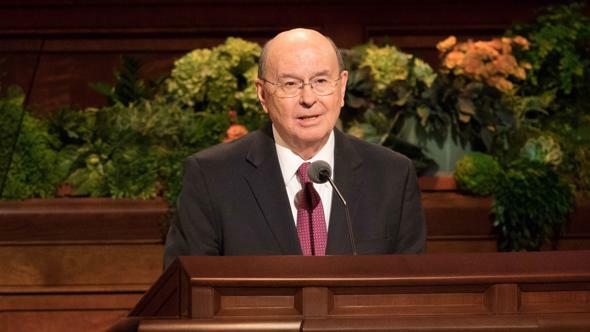 Our sorrow at the loss of any faithful missionary can be tempered by this declaration from the Lord himself: “And whoso layeth down his life in my cause, for my name’s sake, shall find it again, even life eternal.” (D&C 98:13.) To all parents, family members, and friends of missionaries who have lost their lives while in the service of the Master, we extend to you our love, gratitude, and prayers for comfort and peace. Our missionaries have not participated in this great work without serious challenges, tribulations, and difficulties. 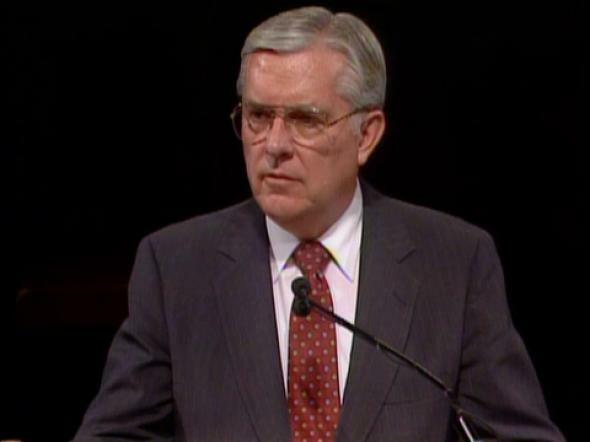 Parents of missionaries have always known the risk of losing a loved one serving in the mission field due to accident or illness. Now, we must add to the risk of missionary service the possibility of acts of terrorism. Terrorism is centuries old but perhaps has never before been so open and blatant nor had such extensive news coverage. Terrorism has many victims. They include the innocent and law-abiding people residing in a troubled region who are striving to provide for their families and to do what is right. Missionaries live among the peoples of the world; and even with the protection of the members, they also can become innocent victims of acts of violence. We must not judge the people of any nation or region because of the irresponsible, cowardly acts of terrorism perpetrated by a few. Sometimes terrorists attack Church members or Church property because they believe, mistakenly, that the Church represents the interests of a country. Contrary to such misguided beliefs, The Church of Jesus Christ of Latter-day Saints has no past or present affiliation with any government agency of any country, including the United States of America. In genuine Christian kindness and loving concern, missionaries and other Church members offer to all sincere and law-abiding peoples nothing more or less than the restored gospel of Jesus Christ. Sad experience has taught us that not all people accept these assurances of fact. Therefore, leaders and members must be prepared for any event that may occur in the future. The increased visibility of the Church in the world brings a variety of new challenges. However, you parents and prospective missionaries have no reason to be fearful and to feel that serving a mission is unusually dangerous or risky. Our records since 1981 reveal that the total number of missionaries who have lost their lives through accident, illness, or other causes is very small. The life-style of Latter-day Saint missionaries before and during their missions contributes to their health and safety. 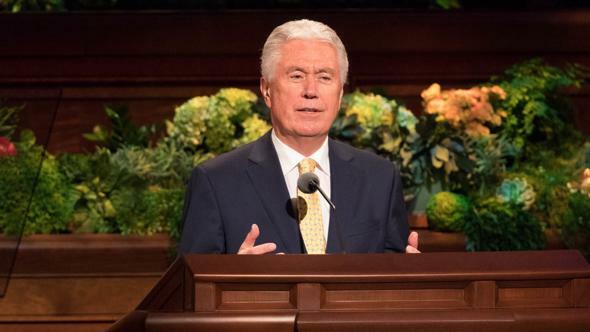 For example, the death rate of young male missionaries from the United States serving worldwide is one-fifth the rate of young males of comparable age living in Utah. It is one-seventh the rate of young males of comparable age in the general population of the United States. I do not imply that missionary service is a guarantee of increased longevity, but missionaries obviously have a much lower risk of death than others of comparable age. The Church is making great efforts to safeguard the health and safety of missionaries by decreasing the likelihood of illness and accident. In the past year, a highly qualified team of LDS doctors visited many of the missions in developing nations and made important recommendations that have been adopted to improve missionary health. We are doing and will continue to do all within our power to reduce any risks that could harm the missionaries. However, in a world of free agency, the Church cannot eliminate all risk nor guarantee absolutely that a missionary never will be ill, injured, or harmed. The Missionary Department employs six former mission presidents who are on 24-hour-a-day call to serve mission presidents and their missionaries. They respond immediately with the resources of the Church to assure the well-being of missionaries and their families. When a problem occurs, such as the recent unrest in Colombia, the First Presidency and the Council of the Twelve, through the able leadership of the General Authority Area Presidencies, monitor conditions daily and even hourly, if necessary. The battle to bring souls unto Christ began in the premortal world with the war in heaven. (See Rev. 12:7.) That same battle continues today in the conflict between right and wrong and between the gospel and false principles. The members of the Church hold a frontline position in the contest for the souls of men. The missionaries are on the battlefield fighting with the sword of truth to carry the glorious message of the restoration of the gospel of Jesus Christ to the peoples of the earth. No war has ever been free of risk. The prophecies of the last days lead me to believe that the intensity of the battle for the souls of men will increase and the risks will become greater as we draw closer to the second coming of the Lord. In many ways, brothers and sisters, the past sixty years in the Church have been relatively calm, compared to the beginnings of the Restoration. Persecutions and tribulations have been minimal. Perhaps some of these recent events are a toughening process to help us learn how to shoulder and not shrink from our responsibilities to preach the gospel to all the peoples of the earth. We parents need to begin early to prepare our children to have a strong, fervent testimony of the gospel. We must possess the faith, the courage, and the commitment that our pioneer forefathers had if we are to continue building up the kingdom of God on the earth. The Lord has not yet said the work is done, so we must continue moving forward. 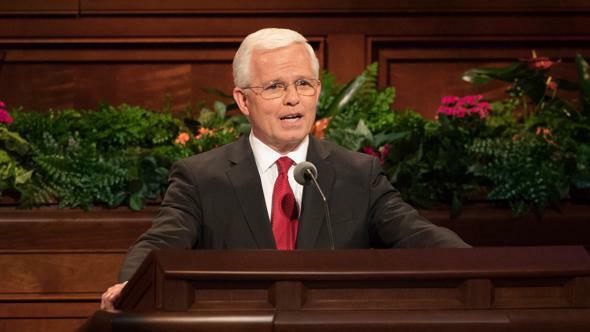 It is good to know that during the four years that President Ezra Taft Benson has presided over the Church, more than eighty thousand missionaries have been set apart to proclaim the glad tidings of the Restoration. The work will continue to grow and prosper throughout the world. In recent years the Lord’s servants have unlocked the door and opened the work in the German Democratic Republic, Poland, Hungary, and Yugoslavia. They have opened many nations of Africa, including Nigeria, Ghana, Zaire, Liberia, Sierra Leone, Swaziland, Ivory Coast, and Namibia; and Papua New Guinea. Thirteen nations and territories have been opened for missionary work in just the past four years. Many others will be opened to the preaching of the gospel. Truly, no unhallowed hand can stop the sacred work of proclaiming life and salvation to all nations and peoples, but this work will not continue without challenges and risks. The work of sharing the gospel of Jesus Christ in all the world will require knowledge, faith, sacrifice, and the best efforts of every member of the Church. As the Prophet Joseph Smith said to the Saints in Nauvoo in 1842, “Shall we not go on in so great a cause? Courage, … and on, on to the victory!” (D&C 128:22.) Today the leaders of the Church echo these words of the Prophet Joseph. Brothers and sisters, the missionaries need our faith and prayers. Pray fervently every day for their safety and protection, for this is one very important way we all can support them in accomplishing their essential assignment of proclaiming the gospel to all the world. I bear testimony that Jesus Christ is the Son of God. We are engaged in his work. 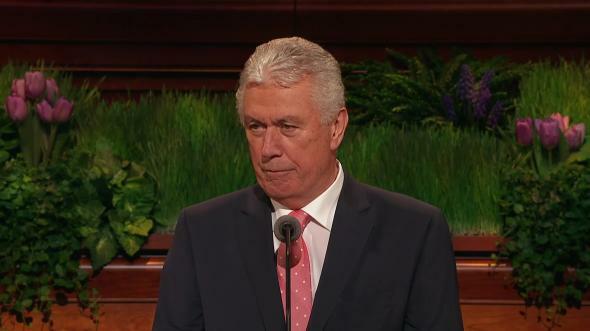 I testify that through the faith and prayers of all members of the Church, we will continue moving this great work forward to the final victory. In the name of Jesus Christ, amen.